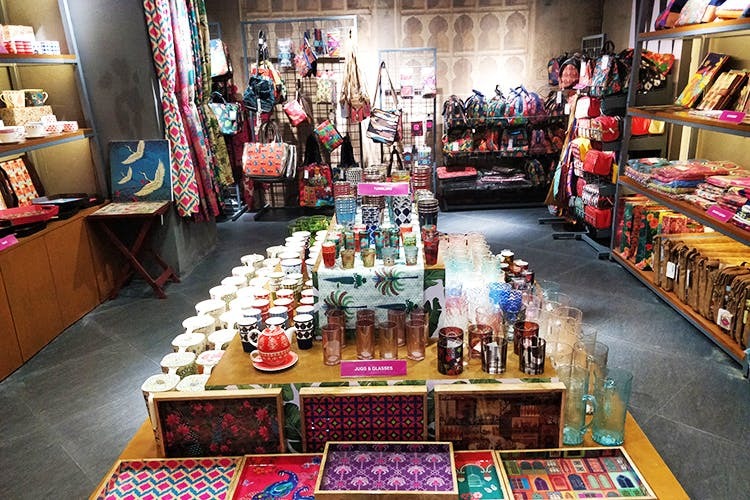 India Circus has launched its first store in Chennai and is selling everything from crockery to travel essentials. Their products reflect our flora and fauna and the India we know and love. India Circus, a Godrej venture, has opened its first store here at Palladium Mall. They are known for their one-of-a-kind home decor products and already have a store in Mumbai. Every merch has intricate representations of India’s rich wildlife and captures the essence of India. They sell a variety of porcelain crockery including cups, mugs, and shooters starting INR 370. Their Bone China mug collection is a set of 6 mugs and is one of their fast-moving products. They have trays with the olden day India painted on them and are priced at INR 2,199. Their bag collection starting at INR 500 includes sling bags, wallets, clutches, duffel and lunch bags. You can find the quirkiest stationery here, from vintage cloth diaries to little notepads, each stationery item spins a story about India. Their vintage bowls and platters made of aluminium are artistic and start at INR 1,200. Their magazine and cardholders are super rich in colours, some having painted flamingos, elephants, and other animals on them and start at INR 499. What’s more? They sell these stand-alone figurines that would make amazing gifts starting INR 3,000. The store also sells cushions, scented candles, storage boxes, door mats, pot holders, and shower curtains starting INR 399. We loved the vintage Messenger Bag which is practical and reminds us of a simpler time. It looks like one of those bags postmen carried in the 60s. Even if you aren’t a home decor kind of person, check out the store to relive olden India and reminisce the Indian emotion.